It's hard to believe that High School Musical first aired over a decade ago, as of this writing. The movie musical became a surprise cultural phenomenon in 2006, breaking records at the time as the most-watched original movie in Disney Channel history with 7.7 million viewers while its soundtrack bopped to the top of the charts. With tweens everywhere singing and dancing along to the likes of "Get'cha Head in the Game," "Breaking Free," and "We're All in This Together," the network's unlikely hit expanded into a full-out trilogy. In 2019, the Disney+ streaming service is set to make all of our dreams come true with the release of High School Musical: The Musical. According to Deadline, the TV series will boast a new cast of actors and follow a high school's staged production of HSM. However, we can't help but wonder whatever happened to our favorite Disney Channel stars since leaving the halls of East High in 2008's High School Musical 3: Senior Year. So, calling all Wildcats! 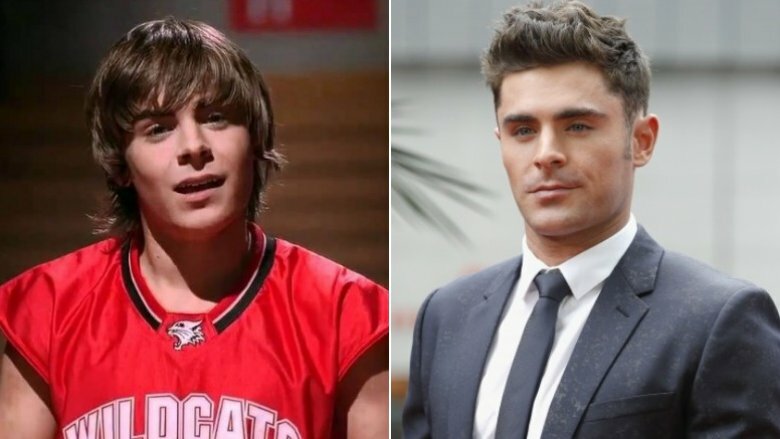 Let's take a trip down memory lane and find out what the original cast of HSM has been up to lately. Zac Efron became one of High School Musical's biggest breakout stars after starring as Troy Bolton, the basketball player with a golden voice. As one of Hollywood's most sought after leading men, he's appeared on-screen in the raunchy comedy Neighbors and the hit movie musical The Greatest Showman. In 2019, Efron will make a marked off-brand turn, starring as serial killer Ted Bundy in the upcoming thriller Extremely Wicked, Shockingly Evil And Vile. In his personal life, the multi-talent dated HSM co-star Vanessa Hudgens on and off-screen for years, and has been sober since completing a rehab stint for alcohol and substance abuse in 2013. While successfully shedding his Disney heartthrob image in adulthood, Efron's not necessarily a fan of the reason he became famous. "I step back and look at myself and I still want to kick that guy's a** sometimes," he told Men's Fitness in 2016 (via The Independent). "Like, f**k that guy … He's still just that f**king kid from High School Musical." The actor said he tries "not to look" at his Disney fame, noting, "You can't enjoy or celebrate it, it's not a real thing." Sounds like Efron's head's in the game, but his heart's definitely not in the song. 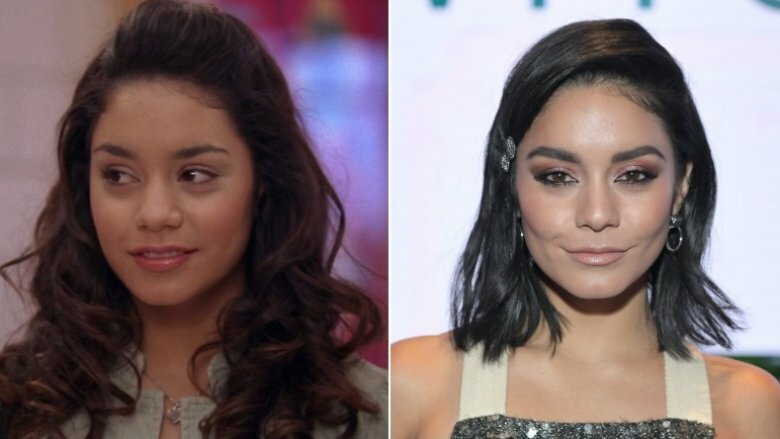 Gabriella Montez, East High's brainiac with sweet voice, was brought to life by triple threat Vanessa Hudgens, who's starred on stage and screen since surviving an infamous leaked photos scandal during her Disney days. In addition to appearing in movies like Spring Breakers and The Princess Switch, the actress made her Broadway debut in the 2015 revival of Gigi and famously performed in 2016's Grease Live! the day after losing her father to lung cancer. She's also set to portray Maureen in FOX's Rent in 2019. Meanwhile, after splitting from Efron in 2010, the So You Think You Can Dance judge began her longtime romance with actor Austin Butler. "I feel like I am just at the beginning, even though I've been doing this for the past 25 years," Hudgens told The Guardian of her career in 2018. "High School Musical was a fantastic journey, but it completely derailed me from where I originally saw my career going." She added, "I always wanted to be the indie girl; I always wanted to be in the movies where I'm playing a drug addict or a stripper or a prostitute. That was my goal since I was like, 11." 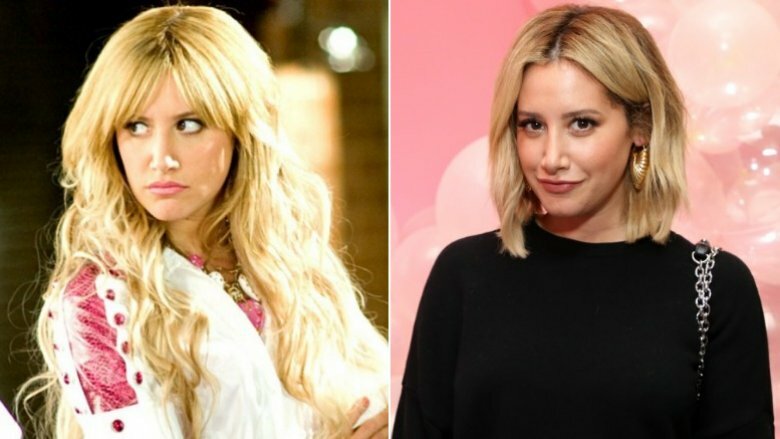 Already known to Disney audiences as candy counter girl Maddie on The Suite Life of Zack & Cody, singer-actress Ashley Tisdale portrayed the attention-seeking Sharpay Evans throughout the HSM trilogy. After reprising her role in the 2011 spin-off movie, Sharpay's Fabulous Adventure, she went on to earn multiple on-screen credits in TV and film, voice Candace Flynn on Phineas and Ferb, and produce the Disney Channel's Cloud 9. Outside of Hollywood, Tisdale found love with musician Christopher French. The two married in 2014 — with former castmate Hudgens serving as one of her bridesmaids. After creating Illuminate Cosmetics in 2016, the "Voices In My Head" singer announced a return to music with her third album, Symptoms. Inspired by her mental health struggle with depression and anxiety, Tisdale told Access Live in 2018, "I wanted to make someone at home feel less alone in their journey … Sometimes this world can be really dark and the whole point of this album is that, like, you need to be your own light and you need to, like, get yourself through it. It really is a journey." Lucas Grabeel became a fan-favorite for his portrayal of Sharpay's twin brother, Ryan Evans. Since then, he's appeared on the big screen in Milk and I Kissed a Vampire, pursued voice acting work on shows like Pinky Malinky, and starred as Toby Kennish on Switched at Birth. Outside of acting, this multi-talent is known to perform in the folk-rock band Midnight Holler, sing adorable duets with his longtime girlfriend, actress Emily Morris, and create short films through 14341 Productions. 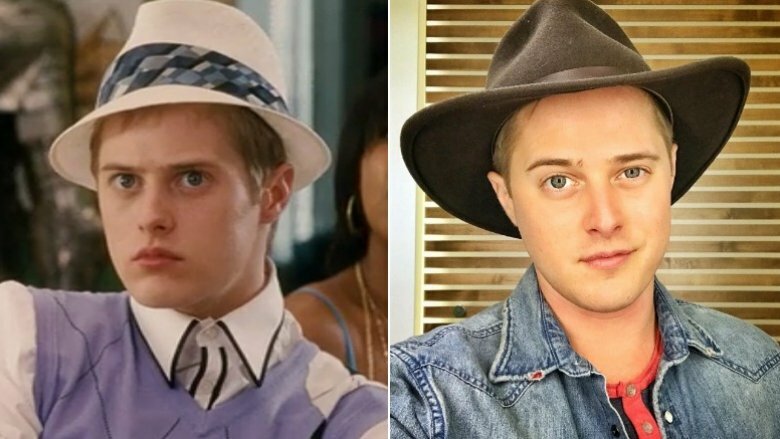 Looking back on his Mouseketeer days, Grabeel's most proud of what his character has meant to LGBTQ youth. "Now, Ryan is not officially gay in any of the [HSM] movies, but I think anyone that watches him can identify with who he was in high school: someone trying to figure it out," he told Billboard in 2018. "And I have young men in high school come up to me saying that … seeing that kind of character represented in a good light and a fun way was really helpful to them." Grabeel added, "To have something like that represented in a Disney, G-rated movie at that time was special." 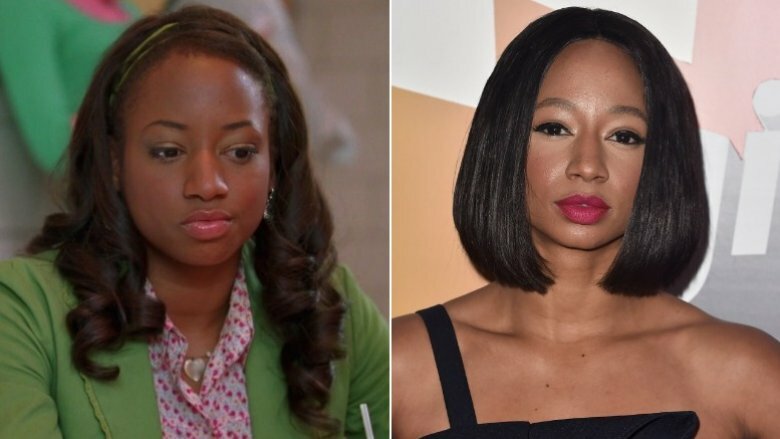 Best known as Gabriella's bestie and Decathlon team captain Taylor McKessie, Monique Coleman was already an industry vet before roaming the halls of East High. While she continued to find on-screen work in Bones, The Fourth Door, Here We Go Again, and We Are Family, the actress tends to keep her personal life out of the spotlight and has been quietly married to Walter Jordan since 2012. However, she is known to use her platform for good as a motivational speaker and youth activist through GimmeMo'. After founding the website-turned-TV-series, which "shines a light on the social and emotional issues that deeply impact young people," Coleman was named the United Nation's first-ever Youth Champion in 2011. As she told Billboard in 2018, "I think I've always known my passion, but what [High School Musical] gave me was the platform to actually do it on the scale that would be meaningful. So when I show up at your school, it's not just some motivational speaker showing up, it's Taylor f**king McKessie coming to tell you that you can do it." 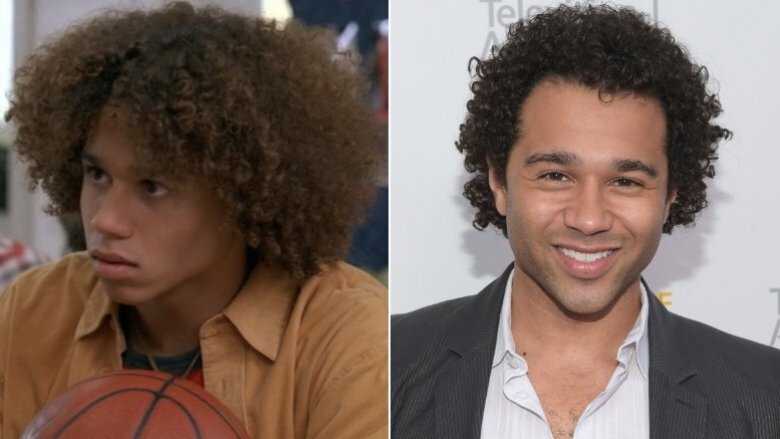 Corbin Bleu had been working as a professional actor for a decade before landing the role of jock Chad Danforth in HSM — a.k.a. Troy's best friend and Taylor's boyfriend. Since his days as a Wildcat, the actor has scored a number of guest-starring roles on TV and placed second on Dancing With the Stars in 2013. Meanwhile, the triple threat also naturally made his way to Broadway. After making his New York City stage debut in In The Heights in 2008, he starred in Godspell, was cheered on by former castmates Efron and Grabeel during his Holiday Inn run, and will next appear in the revival of Kiss Me, Kate in 2019. Having spent most of his life on stage and screen, Bleu, who tied the knot with fellow Disney alum Sasha Clements in 2016, has learned what's most important when pursuing a career in showbiz. As the multi-talent told People, "It's mainly about continuing to do things that remain true to your heart. Don't make any decisions or take any jobs either that are for a reason other than to stay true to you." Russian-born actress Olesya Rulin is best known to Disney fanatics as East High's composer-lyricist, Kelsi Nielsen. 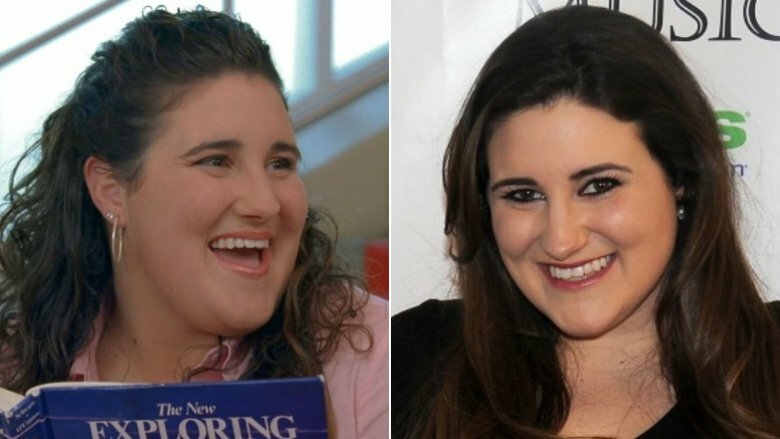 However, the actress has come a long way since working at a Nordstrom to make ends meet in between HSM gigs, while pursuing an economics degree in Paris. After reprising her supporting role throughout the trilogy, she went on to star as Abby on Greek and portray Calista Secor on PlayStation Network's Powers. Outside of acting, Rulin is a prolific writer on her lifestyle blog, Girl Across The Blvd. However, when she's not acting or sharing wellness, fashion, and beauty tips with fans, you might just spot this multi-hyphenate hanging out with her real-life bestie and former HSM castmate, Monique Coleman. "I won't even try to explain how much I love and adore the woman standing next to me," Rulin wrote in part on Instagram in April 2018, alongside snapshots of the duo attending a We Movement event together. "She's been by my side now for 12+ years cheering me on and making me see my own potential … @_moniquecoleman you're a [queen] of Love and Grace." As the old saying goes: Once a Wildcat, always a Wildcat. 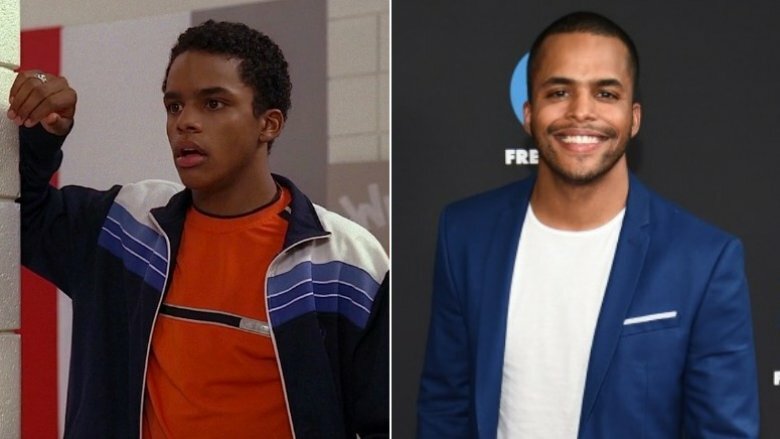 Chris Warren Jr. already had a handful of acting credits to his name before portraying Zeke Baylor in HSM, including Zoey 101, The Bold and the Beautiful, and the acclaimed film Love & Basketball. After playing the basketball player with a passion for baking in all three Disney films, he told the Indianapolis Recorder in 2008, "I definitely want to be remembered as an actor who's a real person just trying to do his thing. I just want to be real and be able to affect people's lives with characters. That's what I want to accomplish." Luckily, Warren's done exactly that. While continuing to work steadily in the industry, he's most notably portrayed Ty Hensdale on The Fosters and starred in the 2018 film Extracurricular Activities. However, his personal life unfortunately hasn't been quite as smooth sailing. According to TMZ, Warren sued his parents — Passions actress Brook Kerr and Christopher Warren Sr. — in 2013 for allegedly stealing money out of a trust they set up for him in 2001. The actor later won the lawsuit, and mom and dad were ordered to cough up $337,186.68. Not unlike her hip-hop dancing, nerdy alter-ego Martha Cox, KayCee Stroh has refused to stick to the status quo while spending most of her post-HSM days out of the spotlight. After earning a handful of on-screen credits, including appearances on The League, The Suite Life of Zack & Cody, Celebrity Fit Club, and the 2011 Kickstarter-funded web series Shapetown, USA, the actress turned her focus toward domestic life. She and husband Ben Higginson have welcomed two daughters together, Zetta Lee and Lettie Louise, since tying the knot in 2009. While opening up about life as a working mom, Stroh told Modern Mom in 2013, "Zetta and I have a very packed schedule full of singing, dancing, reading and napping. Whenever she goes down, I always make a mad dash to do the laundry, clean, put an audition on tape, do an interview, prepare for an event, or throw something in the Crock-Pot." In 2018, she made her official return to acting with an appearance on Andi Mack. 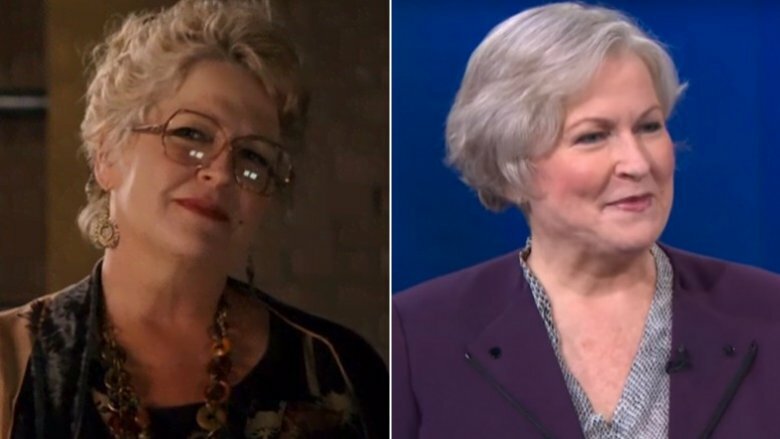 Triple threat Alyson Reed was an established actress long before appearing as the eccentric drama teacher, Ms. Darbus, in the High School Musical franchise. With over eighty on-screen credits to her name, she's also a Broadway veteran, having performed in multiple productions throughout her four-decade career. Most notably, the multi-talent starred in the film adaptation of A Chorus Line in 1985, was nominated for a Tony Award for her portrayal of Sally Bowles in the 1987 revival of Cabaret, and appeared in the documentary, Broadway: Beyond the Golden Age. Since leaving the world of HSM, Reed's devoted much of her time to empowering children around the world by teaching and applying theatre fundamentals to real life. "First of all, I feel like I get more back from the kids than I'm giving them," she told ABC4 Utah in 2013. The industry vet added, "For me, that's my underlying theme of all of it: If I can get one kid to really believe, 'If I can think it, I can be it,' then I'm over the moon."